Nuclear In Space — The NETS Meeting, Forbes 28 Feb 19 James Conca The NETS meeting is wrapping up today at the Pacific Northwest National Laboratory in Richland, Washington. 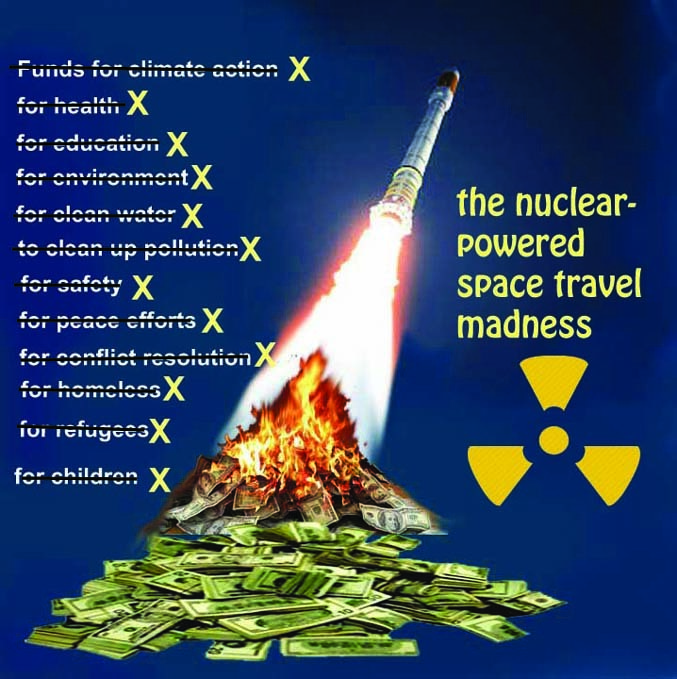 The Nuclear And Emerging Technologies For Space is an annual gathering of people from NASA, National Laboratories, industry, and academia to discuss space nuclear power and propulsion as well as new and emerging technologies that make further space exploration possible……. The space market, now about $400 billion/year, is set to grow to between $1 trillion and $4 trillion per year by 2040). Last year, the market for electricity in the United States was only $400 billion. So the economic push is great to evolve these systems. Jeff Bezos (Blue Origin) and Elon Musk (SpaceX) started their companies with the mission of enabling millions of people to live and work in space. SpaceX launch vehicles have dropped the cost of spaceflight by a factor of 15, and that should continue to drop by another factor of 5. …….